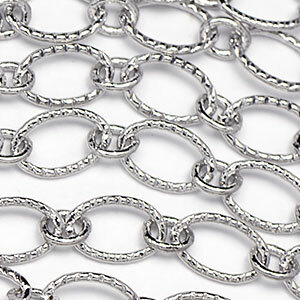 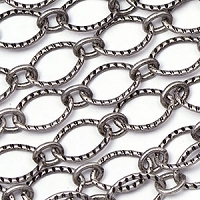 Alternating textured and smooth link chain makes for a multi-purpose base layer chain. 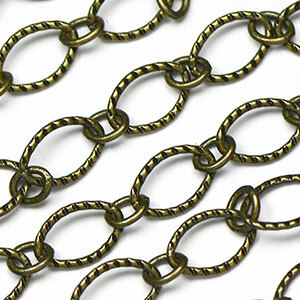 Use this for medium weight for bracelets, necklaces, anklets and chain extension. 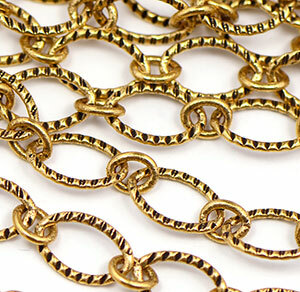 Have some left over beads? 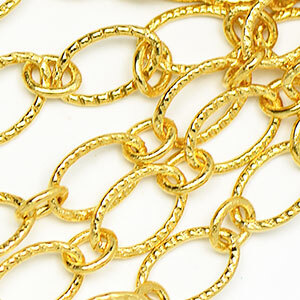 No problem.. use an inch or two of chain and wire wrap with beads and attach to ear wires. 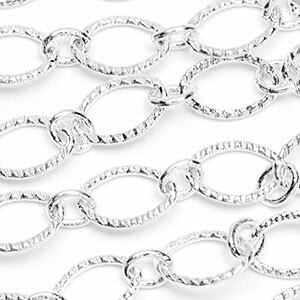 This chain style has been a best-seller for us for over a decade. 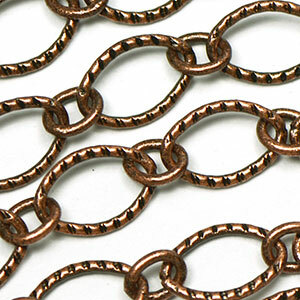 We ship in the longest sections possible. 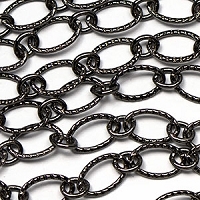 We can not guarantee one long continuous length because splices in the chains are part of a regular manufacturing process.